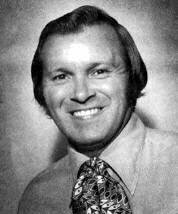 Jerry L. Helt is considered by folk dancers throughout the fifty United States and Canada as the most popular caller and teacher of American square dances, contras, and round dances. He is known for his humorous, fun teaching style, for his specialty, "Exploding Squares," and for his very popular creations "Sweep a Quarter" and the round dance "Jiffy Mixer." 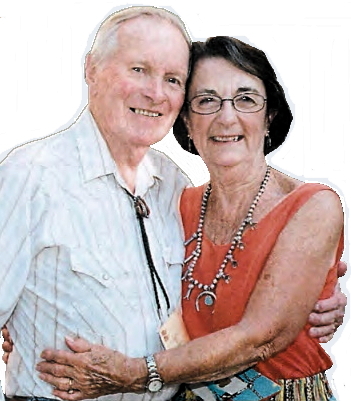 Jerry, who is married to Kathy, began his square dance activities in the early 1940s and has been a full-time caller since 1953. As a professional caller and instructor, he conducts callers' clinics and workshops, and serves on the teaching faculty of numerous universities, institutes, and camps throughout the United States and many foreign countries. Jerry is not only a member of Callerlab (the international association of square dance callers), he served on its founding Board of Governors. He conducts a full program of classes and clubs in Cincinnati, Ohio, and surrounding areas that includes squares, rounds, quadrilles, and contras. 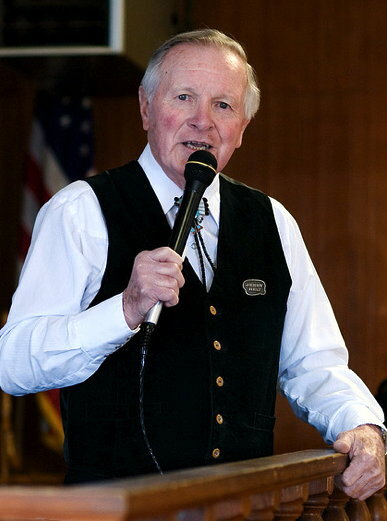 He has served on the program of the National Square Dance Convention since 1953 and served as a member of the Blue Ribbon Committee for the American Square Dance Society. He is fully licensed by A.S.C.A.P. and B.M.I. Jerry is a recording artist on Blue Star, MacGregor, Scope, Sets in Order, Hollywood, Kentucky, and Gateway Records. He also has performed and recorded with the Cincinnati Pops Orchestra on the Telarc label. His numerous albums and singles are heard around the world. He has produced "Jerry Helt's Dance Party KDF-003," a video and audio cassette for non-dancers, people of all ages, square dancers, school groups, square dance callers, and collectors (available from Kentucky Dance Foundation). Jerry has been featured as a caller and choreographer on stage and in television shows and choreographed square dance scenes for the Cincinnati Opera's "Elixer of Love." He has conducted exhibition groups and has taught dancing to mentally retarded, wheelchair groups, and children. He has performed and called square dances throughout the fifty United Sates and has been featured in articles in the national square dance magazine Square Dancing as well as other magazines and publications. Dances Jerry has taught include Alle-Doe Contra, Baldo Contra, Banjo Contra, Blue Stars and Stripes Mixer, Blue Stars and Stripes Quadrille, Buckeye Quadrille, Buffalo Gap Contra, Chap Slap, Cielito Lindo Mixer, Cincinnati Waltz Quadrille, Circle and Star Contra, Circle Waltz Mixer, Contra 2000, Contra Line Dance, Cross Country Contra, CW Freeze, Dipsy, Divide the Ring, Dixie Grand, Elementary Mixer, Figure Eight (Old Time), Figure Eight Contra, Flaming Mamie Mixer, Flowers of Edinburgh, Flutter Wheel Quadrille, German Spa, Good Man of Ballangay, Grand Square, Grand Square Quadrille, Grand Sweep, Grand Swing Thru, Happy Birthday, Happy Heart Square, Haste to the Wedding, Heel and Toe Quadrille, Heritage Waltz Quadrille, Hey Circle (Spanish Circle), Hey Hey Contra, Honey Quadrille, Hula Blues Mixer, Hully Gully, Jerry's No Swing Circle, Jerry's Waltz Contra, Jiffy Line Dance, Jiffy Mixer, Jubilee Mixer, Lead to the Right, Line of Eight, Linear Cycle, Little Red Wagon, Lonesome Shepherd, Lord Burgesh's Favorite, Love for Pennies Square, Macarena, Mammies Mixer, Mariemont Quadrille, Maverick Waltz, Megunticook Reel, Missouri Hoedown, Munichausen, NoName Contra, Old Countryman's Reel, Old Man Contra, Old Time Quadrille, Olentangy Contra, Peel To the Right, Pickins Quadrille, Pretty Baby Quadrille, Primer Contra, Progressive Squares, Queens Quadrille, Right and Left By, Rock'n In Rosalie's Boat, Rotate the Square 1/4 Right, 'Round the Corner Quadrille, Sackett's Harbor, Sackett's Harbor Contra, Should I Mixer, Single File Lead, Spin Chain & Scoot Thru, Square Rotation 1/4 Right, Squeeze Play Contra, Sunflower, Sweep a Quarter, Swing Mixer, Tea Cup Stroll, The Munichausen, The Primer Contra, Three Borken Sixpence, Three Quarter Quadrille, Travel On, Trio Waltz, Tulsa Shuffle Line Dance, Two-Ply Contra, Two Stars in the Night (Venus and Mars), Wheelbarrow Contra, Who's on First?, and Zoom.